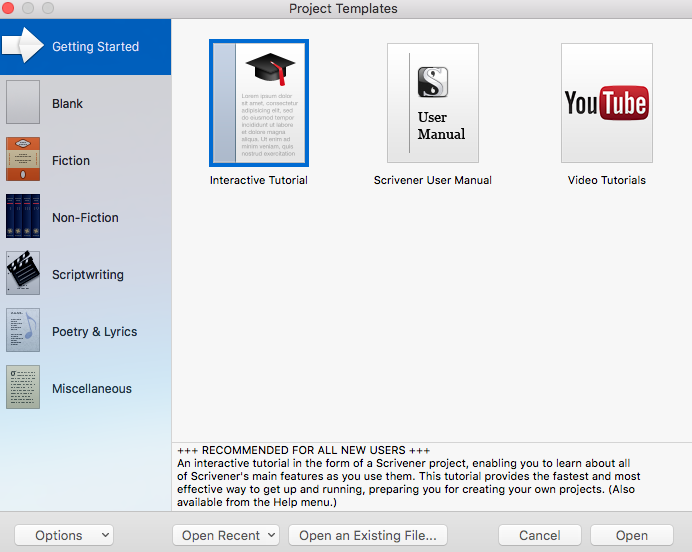 A wonderful colleague who pumps out an admirable amount of scholarship recently turned me onto Scrivener. Scrivener is great for its ability to organize research and act as a word-processing tool. It was originally created for writing novels or screenplays, but more and more law professors are adopting it. The beauty of a tenure-track law librarian position is that it attempts to give law librarians full citizenship in a law school, which as any law librarian knows, is an uphill battle. My law school wasn't ready for it either, so they created a new tenure-track line for "law library faculty." This designation comes with the great responsibility to teach, research, and provide service akin to a "normal" tenure-track law faculty member. It also comes with the responsibility to provide all of the support that a law librarian gives. All of this to say that anything that helps me write more and write faster is a friend of mine. 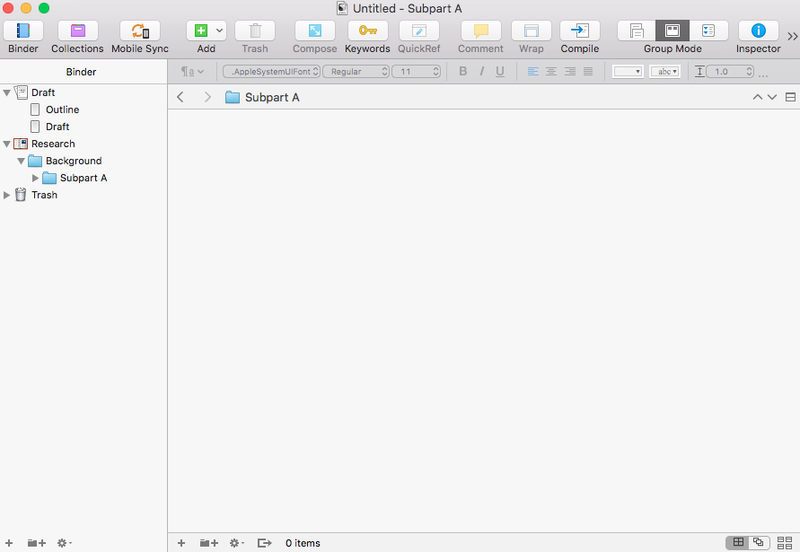 Scrivener has been invaluable for that. 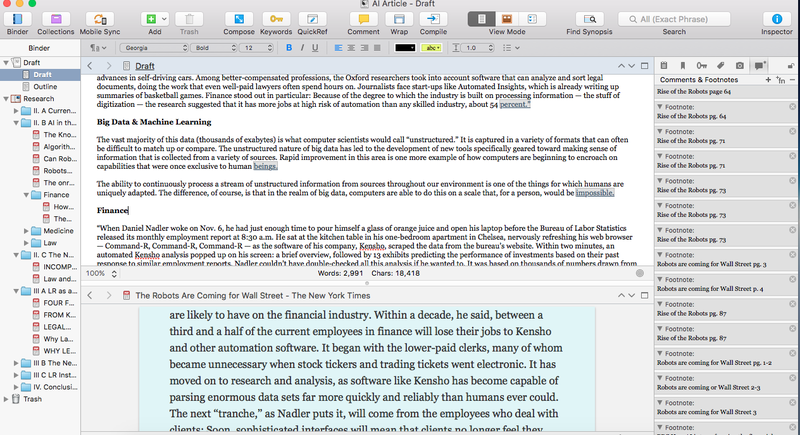 Scrivener allows you to personalize it for your own writing style. As I was also forewarned - WATCH THE INTERACTIVE TUTORIAL! There is a plethora of components that are customizable. Rather than sifting through printouts of research trying to find relevant passages, all of my research is readily available. 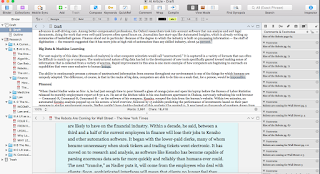 I can easily enter footnotes, and when my article is finished, it can be exported to Word for final formatting before submission. As mentioned, this is only one writer's way of using this customizable tool. 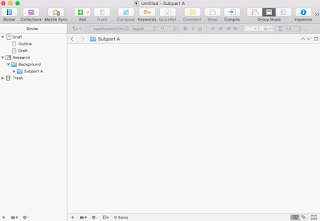 If you still aren't sold on Scrivener, they will give you a 30-day free trial. As in 30 actual days of use - not just 30 calendar days. Try it. Watch the Tutorial. See how you can make it work for you.